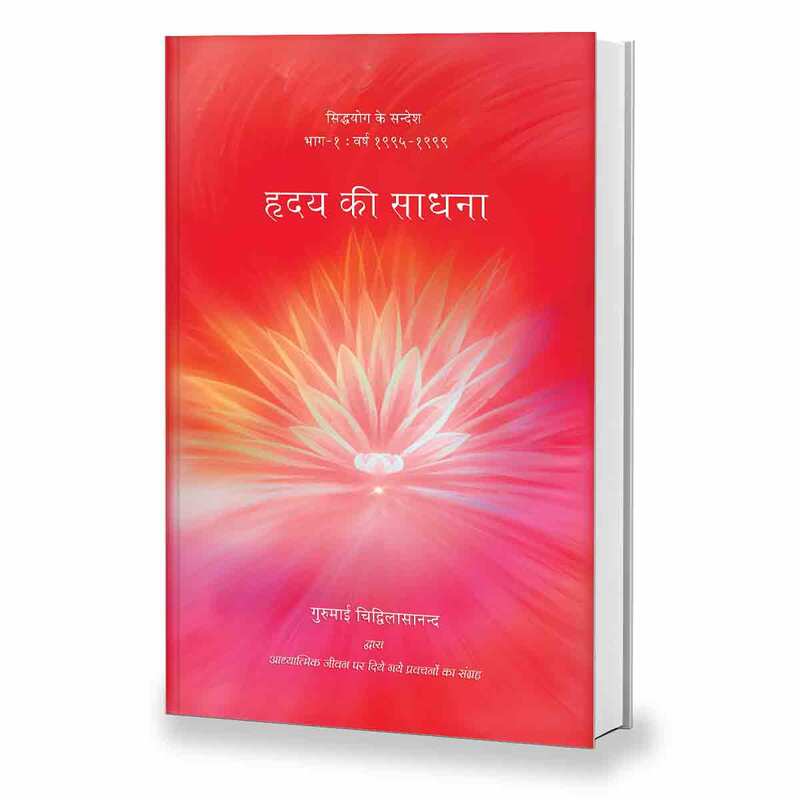 HRIDAYA KI SADHANA Volume 1, a collection of talks by Swami Chidvilasananda, is a modern scripture, shining with the power of Gurumayi’s enlightened state and her loving intention for the spiritual progress of every human being. Each of the talks in the Sadhana of the Heart was originally presented to Siddha Yoga students as a message for the New Year and each one endures as a focus of contemplation and a source of revelation. Every talk in this collection brims with philosophical knowledge and practical guidance for reaching the liberated state that Gurumayi herself attained by following the Siddha Yoga path.Sadhana of the Heart Volume 1, a collection of talks by Swami Chidvilasananda, is a modern scripture, shining with the power of Gurumayi’s enlightened state and her loving intention for the spiritual progress of every human being. Each of the talks in the Sadhana of the Heart was originally presented to Siddha Yoga students as a message for the New Year and each one endures as a focus of contemplation and a source of revelation. Every talk in this collection brims with philosophical knowledge and practical guidance for reaching the liberated state that Gurumayi herself attained by following the Siddha Yoga path.